Champion’s Choice for Early Learning, (CCEL) is a community resource. We serve the needs of families in the Tobacco Valley who need or desire childcare and want a balance of structure and play for their preschool age children. It is our goal to give every child a love for God and learning, and to build lasting meaningful relationships that support the child, family and community. 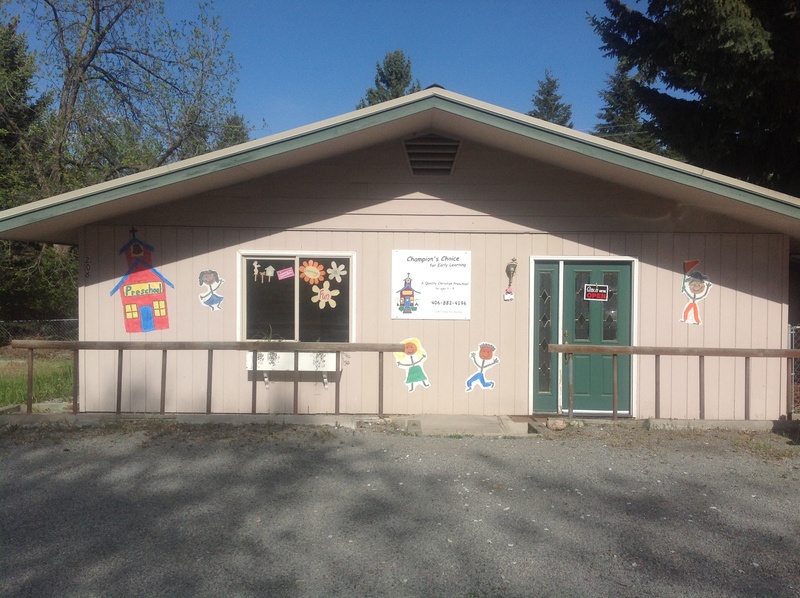 We are located at 208 Central Avenue in Eureka, Montana. We follow Montana State Early Learning Standards, along with an enriched learning environment to provide a warm, nurturing, and safe place. We make each concept fun and meaningful to the child’s world with play centered learning and hands on activities. This gives them the best start in their whole development to be Kindergarten ready. We use redirection, and short time outs for discipline, giving children a choice to return to the activity when they can play in a safe and friendly manner. We also encourage children to talk through problems and find solutions they can agree on. We have decided to drop our licensed status at this time to allow more families an opportunity to participate in our programs. We will continue to provide the same level of care and follow all the procedures as a licensed care facility except no immunization is required. All our staff have clear criminal background checks and are First Aid and CPR training. We admit students of any religion, or those who do not believe in God at all, as well as those of any race, color, national or ethnic origin to all the rights, privileges, programs, and activities generally accorded or made available to students at the school in accordance to the policies in our Family Handbook .